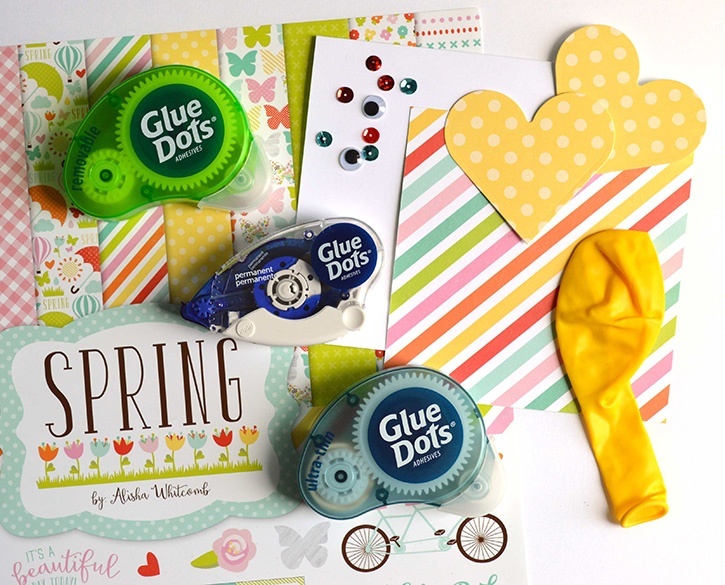 Here is a fun craft that will get your kids' creativity flowing with Glue Dots®. 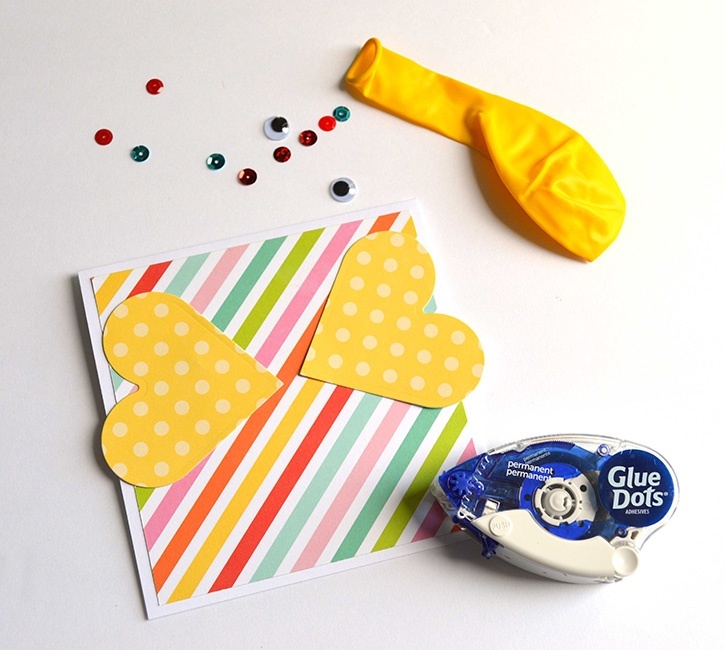 This card is a great opportunity for your kids to craft and share, and when you use Removable Dots™, the recipient can easily remove and use the balloon! Score your card stock at 5” and fold in half to create a 5” card base. Cut your decorative paper to 4.75 inches square. (Tip: Try to coordinate your paper to the balloon color!) Cut out two medium sized hearts using wafer thin dies and die cutting tool. 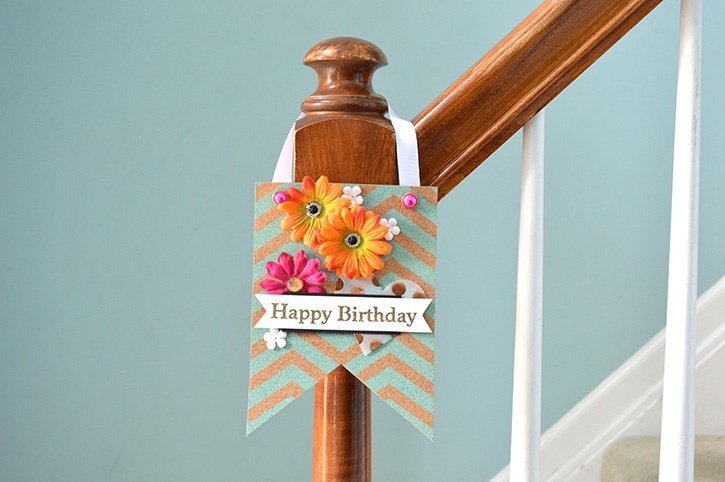 Use Permanent GlueTape to adhere the colored paper to the card stock. Use Ultra-Thin Dots to adhere the hearts where you want to place the elephant’s ears. 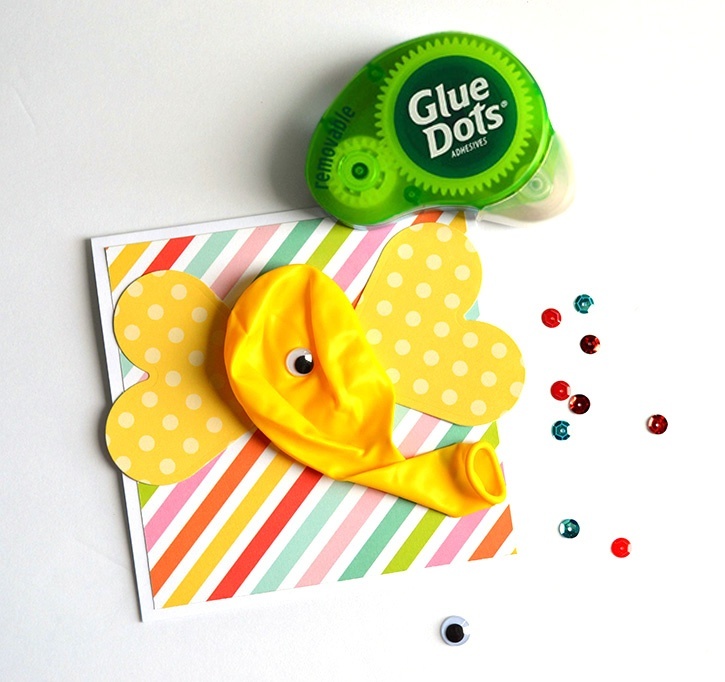 Use Removable Dots to adhere the balloon between the “ears.” Attach the googly eyes to the elephant using Removable Dots. Stamp a sentiment to coordinate with the theme of the card. (This is a great idea for birthday cards!) Then attach with Ultra Thin Glue Dots. 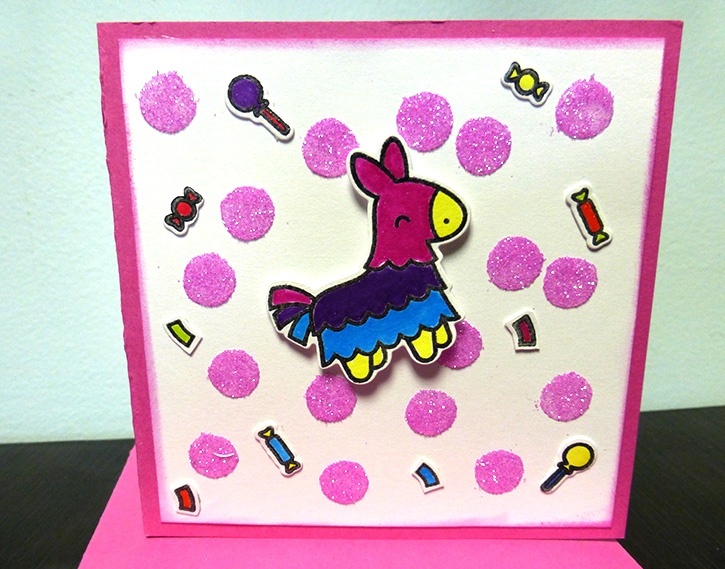 Finally, add sequins attached by Mini Dots to add interest to your card. 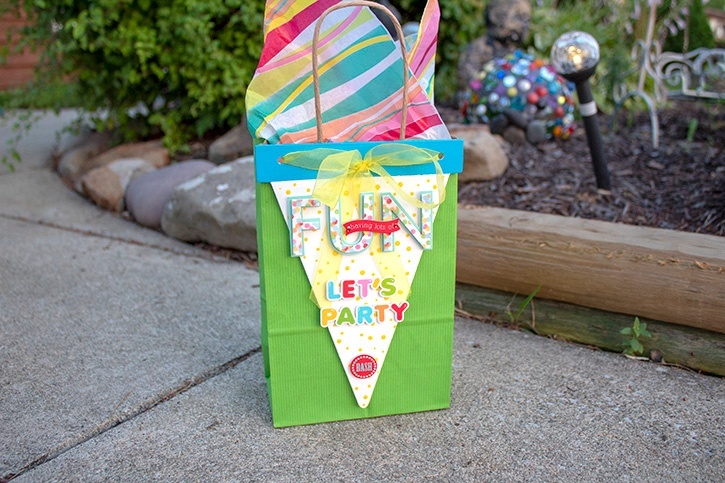 This kid-friendly craft is a fun way to harness their creativity and imagination. After they are done, they can take time to write a note to a friend or loved one. A great rainy project during the summer months! Tip: Cut 4.75 x 4.75” square of white card stock if your card stock base is colored. 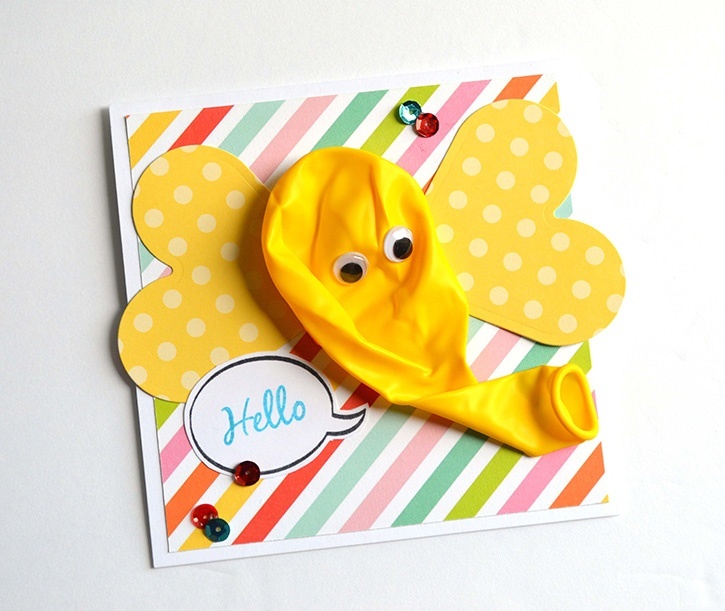 Also use a small strip of left over patterned paper to add a bit of flare to the inside of the Elephant Balloon Card.